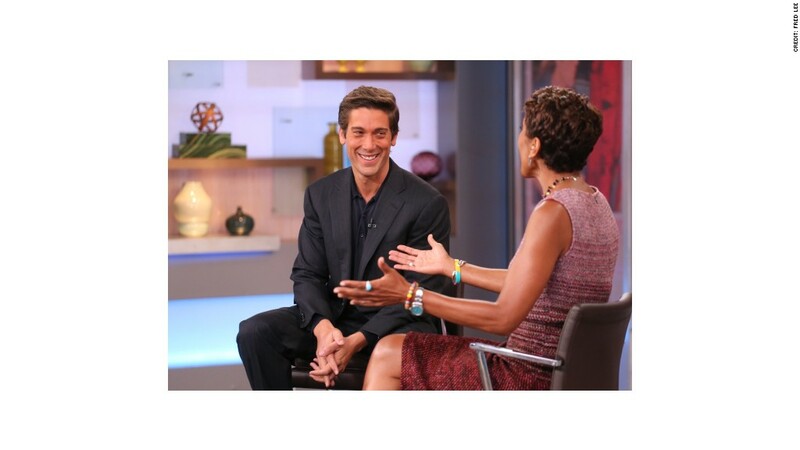 A month that began with David Muir's ascension to ABC's evening anchor chair ended with Muir beating his NBC rival, Brian Williams, in the purest category of ratings competition there is: total viewers. For the week of Sept. 29, ABC's "World News Tonight" averaged 8.4 million viewers, about 166,000 more than "NBC Nightly News." That's the first time ABC has come out ahead among total viewers in more than five years. And that allowed ABC, when the ratings came out on Tuesday, to celebrate what it called an "across-the-board win" for "World News." The influential Drudge Report, much-read in news industry circles, linked to ABC's press release and titled it "Muir Becomes News King." The total viewer win had been a long time coming. ABC News started to beat NBC News in the mornings more than two years ago. "World News" started to notch weekly wins in the key advertising demographic of 25- to 54-year-olds this past spring, when Diane Sawyer was still the newscast's anchor. Back then, NBC expressed confidence that it would remain the long-term ratings leader. Case in point: this past television season, "NBC Nightly News" enjoyed its highest overall ratings in eight years, bucking downward news industry trends. NBC executives also noted that "Nightly News" continued to beat ABC among 18- to 49-year-old viewers, even while narrowly losing the 25- to 54-year-old demographic. The network's sore spot, according to internal research, was among 50- to 54-year-old viewers. Last week, however, ABC pulled ahead among 18- to 49-year-olds as well as viewers of all ages. This week's ratings will help to determine if last week was just a fluke. NBC, which has portrayed ABC's newscast as soft, said in a statement, "We're proud of the quality of the broadcast we produce every night and the stories we tell. In an increasingly complex world, NBC Nightly News is the place our audience can turn for credible, authoritative news they can trust." ABC, perhaps anticipating assertions that its newscast isn't serious enough, listed some examples of international reporting in its news release about the ratings victory: "During the month, Muir reported from the Syrian border on child refugees, Chief Global Affairs Correspondent Martha Raddatz reported from a United States war ship in the Gulf during airstrikes over Syria and Chief Health and Medical Editor Richard Besser returned to Liberia getting a first look at the Ebola isolation wards."